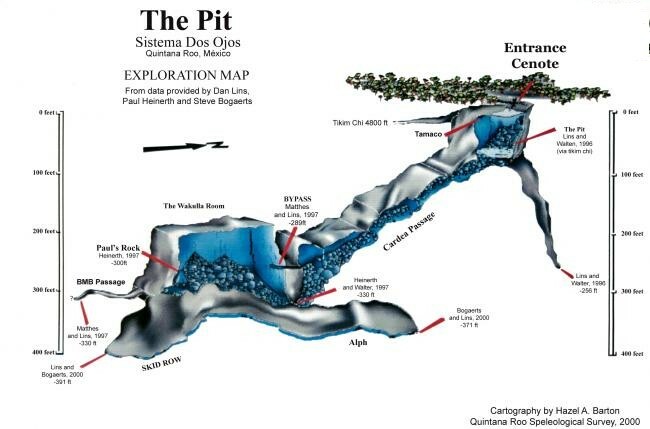 The Pit is an amazing sinkhole inside the deep jungle, an upstream branch of the Sistema Dos Ojos. 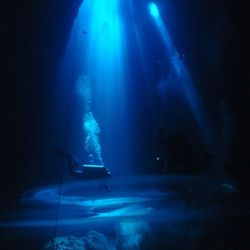 The Pit is with 391 ft/119 m the deepest cenote in the State of Quintana Roo. 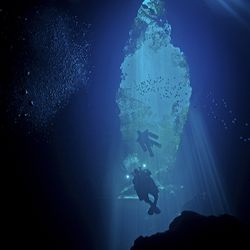 This dive will be for sure an unforgettable adventure in your life! 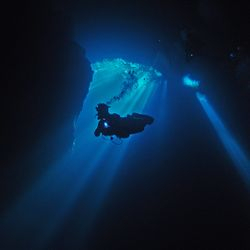 In the past, before the dirt road leading to the entrance of The Pit and the stairs down to the water were built beginning of 2012, divers had to first walk about 1000 ft/300 m from the dirt road and then had to lower their gear about 7m/24 ft to the water with ropes. 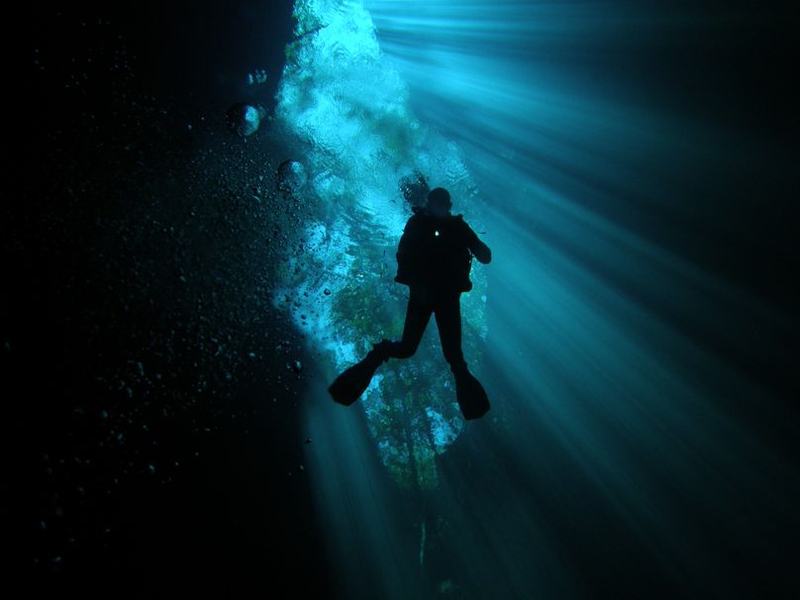 These recent developments have facilitated access to this dive site enormously. Amazing sun rays penetrate to 30 m/100 ft crashing with a hydrogen sulfate cloud. Below the white cloud, an animal skeleton, a human jaw with four molars, and the remains of what seemed to be an old fire place with small burnt bones were removed by INAH end of 2011. 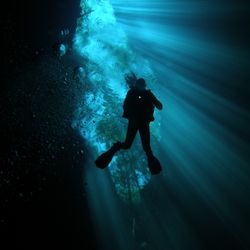 We perform a multilevel profile dive. 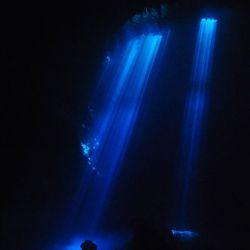 The ascend is made progressively by making circles around the gigantic cylinder where, in the shallower area, you will see black lines on the wall showing the variation of the water level through the ice ages and you can admire a beautifully decorated ceiling with white thin formations.